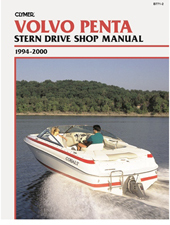 Clymer manual B771-2 for Volvo Penta Stern Drives 1994-2000. Step-by-step instructions for every job. shop safety and mechanic's tips.